On the back of any big victory there are two words assured of adding to the enjoyment of Celtic supporters. Unique and angle! Celtic TV were in their favoured positions at Hampden yesterday as the hoops set about one of the major hurdles in the chase for a treble treble. Watch goals that took us into our 3?RD consecutive Scottish Cup final! ???? It looked like the first half would finish goal-less but in stoppage time caused by the injury to Ryan Christie but James Forrest had other ideas. Collecting the ball 30 yards from goal he created space before sending a stunning shot beyond Joe Lewis with a spectacular effort that ranks among the best Celtic have ever scored at Hampden. 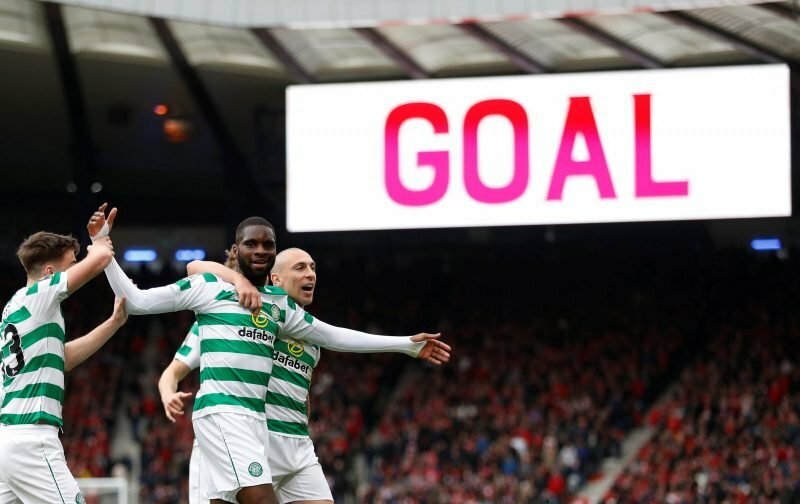 The second half goals were less eye catching but just as valuable as Odsonne Edouard and Tom Rogic put the match beyond Aberdeen. Celtic will return to Hampden on May 25 for the cup final against Hearts with a historic treble treble on the line for Neil Lennon’s squad.